Split/Second, an intense action racing game set within the world of a hyper-competitive reality television show. Competitors vie to be the first across the finish line in a made-for-TV city built for destruction, with the ultimate goal of becoming the season champion. 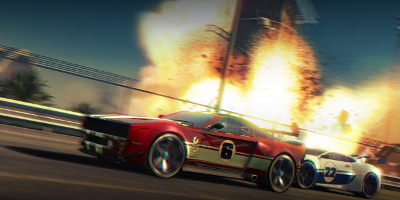 Competitors in Split/Second don't just collide with other vehicles to knock them from the track - they can also trigger explosive events that drastically alter the dynamics of the race. Players must use strategy and pinpoint timing to derail opponents, tactically alter the track or create entirely new routes. You can't beat the price of Split/Second for the value. I had my eye on this game a couple years ago but I can rarely justify spending full retail value for a brand new game. The game posts a high metacritic rating (84) and is fun to play! 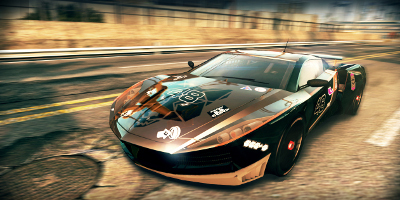 It is a unique racer that offers different game modes, a challenge and constant entertainment. Split/Second is one of the greatest arcade racing games ever made. It looks awesome, it gets in your blood very quickly and the explosions/demolitions are the biggest you get to see in gaming. If this was a game by Michael Bay, I wouldn't be surprised - it's his style. Even with it being an arcade game, it is challenging - you have to think when to use power-plays and when to spare them for a later time in the game. You don't have to win every race to progress, open new tracks, cars and races. I like everything about this game and it is a shame, that Disney's Black Rock Studios were cancelled. Split/Second is still my favourite game. You could call Split/Second, Super Mario for grown ups, it is definitely fun and especially playing with your friends! Price is also very valuable meanwhile! This game is really entertaining to play with friends, I recommend it 100%. Split/Second is a great arcade style racing game. Don't expect Gran Turismo but rather Motorstorm with exploding scenery. Split/Second is a great, fun racing game. Split/Second is a great game! It has high quality graphics and the game play is epic. The control of the cars is very good and feels so real. The cars and the races look fantastic and you can destroy your competitors in many ways. You should buy this if you enjoy great racing games. I really like Split/Second. This game definitely takes up more than a split second in my life! It's simple and easy to learn and has loads of explosive surprises to experience. Every race and every lap will offer sudden traps for you and your opponents, which adds up for a great replay-value. The fun keeps going on! 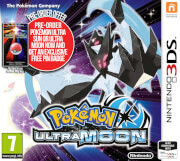 Great game at a great price! 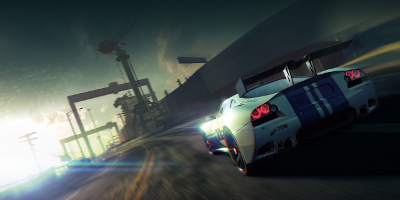 Split/Second is One of the best Racing Game about.